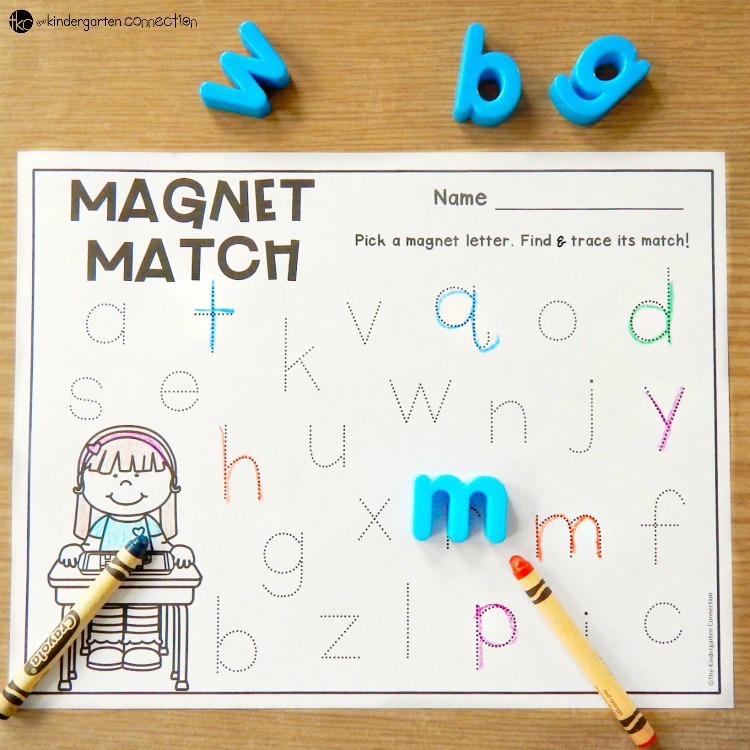 I absolutely love using alphabet magnets in my classroom because there are so many learning activities for them! 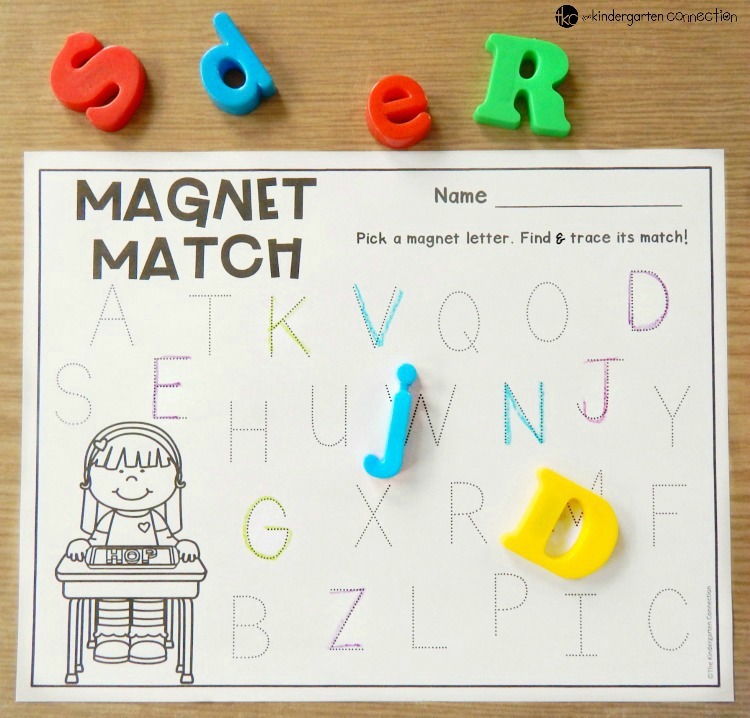 From letter recognition to spelling, to CVC words, sight words, and more – there are so many ways to play and learn with alphabet magnets. One of our favorite ways at the beginning of the year is to use them for letter matching as we begin to identify letter names. 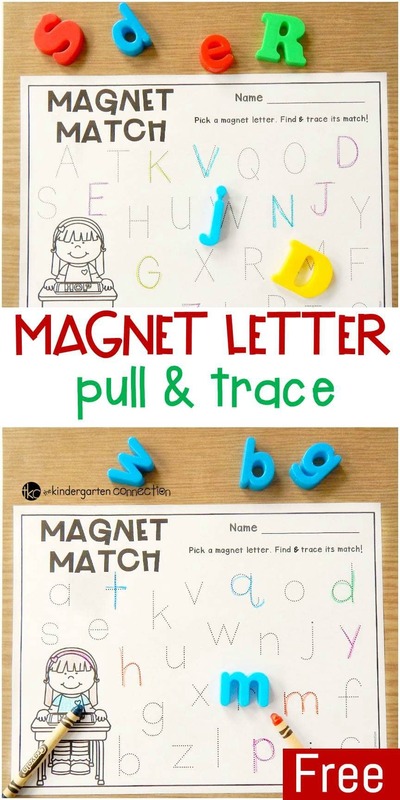 This pull and trace alphabet magnet activity is a great literacy center for Pre-K and Kindergarten students who are learning their letters! What I love most is how simple this center is to set up. 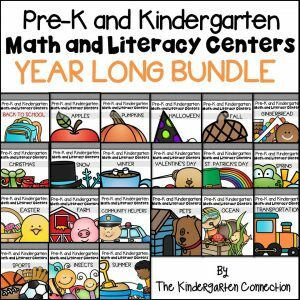 All you need are the two printables (at the end of the post), some alphabet magnets, and crayons or writing utensils of your choice! I have a huge collection of magnets ranging from dollar store finds to ones that came with the classroom, but one of my favorite sets of alphabet magnets are the ones that color code the consonants and vowels. You can find those magnets here on Amazon. I place the magnets in a basket for my students, and then I provide copies of the recording sheets. You can choose to use either upper or lowercase sheets. 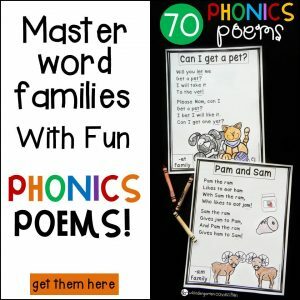 So, you could have students match opposites, or for students who are just learning letter names and are not quite ready for that, they could look for letters that are the same. They pull a magnet, find its match on the page, and trace over it. We love to use crayons or skinny markers to make our page colorful – it just makes it that much more engaging! Ready for some alphabet matching fun? 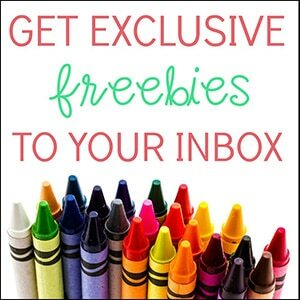 Grab your copy of this fun center by clicking the yellow button at the very bottom of this post. 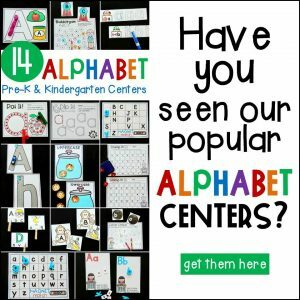 Then, hop over and grab our popular Print and Play Alphabet Centers! 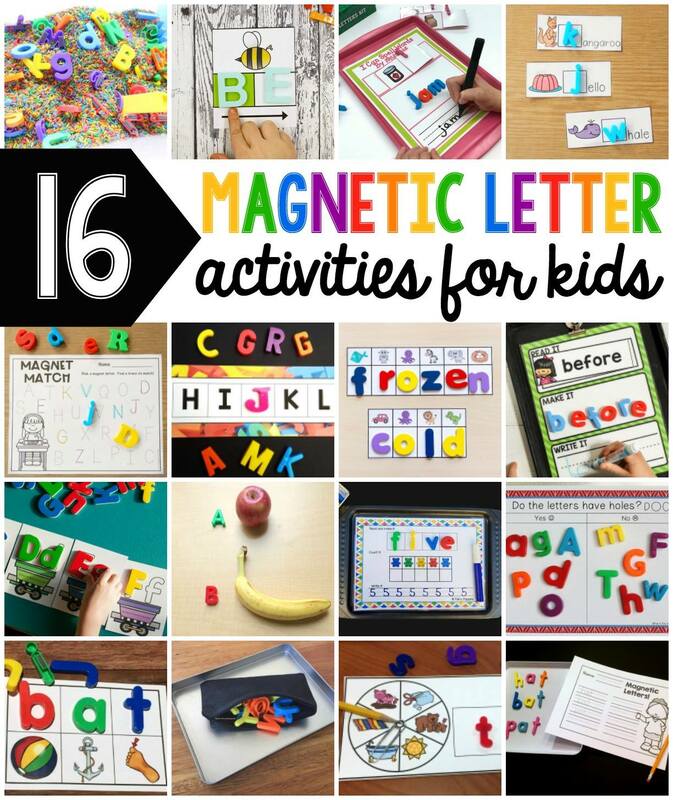 If you have tons of magnet letters and are looking for even more fun activities, then you will love this collection of magnetic letter learning activities from some of my favorite kid bloggers! Check them out below!